Pool presents : Kah-Lo !!! 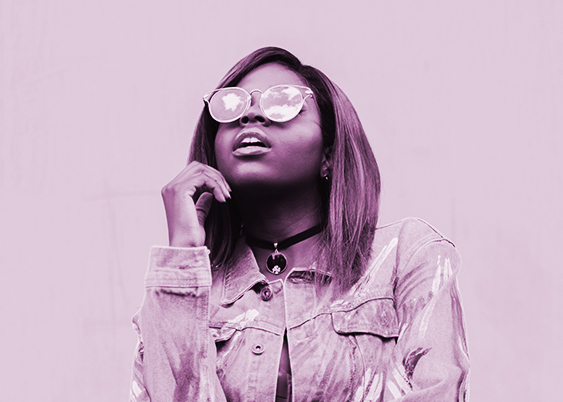 Kah-Lo is the Nigerian-born rising star, who has enjoyed an incredible 2016 with a chart-topping hit with ‚Rinse & Repeat‘; her infectious collaboration with London-based producer Riton. The phenomenal success of ‚Rinse & Repeat‘ included being named one of the Top 10 most played songs on BBC Radio 1 for 2016, selling 400,000 copies in the UK and 35 million streams & counting on Spotify and a coveted Grammy nomination for Best Dance Recording at this year’s award ceremony – a testament to its enduring appeal as one of the most influential and unique club tracks of recent times, setting in motion the foundations in Kah-Lo’s burgeoning super-stardom. Premiered on Annie Mac’s BBC Radio 1 show today, ‚Fasta‘ is the energetic debut solo single from Kah-Lo. Now taking her rightful place in the centre stage, the track sees Kah-Lo continuing her fruitful musical connection with Riton, who returns for production duties once again. This summer anthem fuses sounds of Afrobeats and Electronic music showcasing this musician’s niche within the current climate of today’s music industry, while her unique tone & delivery offers something different within the current pop landscape. ‚Fasta‘ follows on from previous singles ‚Money‘; her collaboration with fellow Nigerian musicians Mr Eazi & Davido and Riton (also co-written with MNEK) and ‚Betta Riddim‘ – another of Kah-Lo and Riton’s collaborative efforts. Kah-Lo has built a strong and organic musical relationship with Riton which first transpired from social media. Kah-Lo describes it best: “Reached out to Riton on Twitter and Rinse and Repeat was recorded two years after”. The two have been going from strength to strength with each release and ‚Fasta‘ continues to prove their undeniable talents of creating hits. Music has played a huge part in Kah-Lo’s life; as a child, her father and uncle would play various 80s & 90s Pop and Hip-Hop records. Artists such as Slick Rick, M.I.A, Rihanna, Madonna and Kanye West have all influenced her musical direction as well as her unique sense of style, topped off with her long flowing signature green hair. Beginning her musically journey straight out of university after making the brave decision to move from her hometown of Nigeria to the USA, the now 24-year-old decided it was all or nothing and started taking crucial steps into the development of her fearless brand. Following in the footsteps of another of her inspirations; Lady Gaga, Kah-Lo began performing in bars and coffee shops across New York City – perfecting her craft whilst also uploading tracks to her Soundcloud page. Fast-forward to the present and Kah-Lo is gearing up for a festival filled summer with performances at this year’s V Festival and SW4 Festival. The ‘Electro-Beats’ musician also had the pleasure of playing at BBC Radio 1’s recent Ibiza Weekend alongside legendary DJ’s such as Fatboy Slim, David Guetta & Jax Jones and some of the country’s best acts including Disciples & Rudimental.